Want to learn more about the science behind your child’s bilingual development? You won’t find a more knowledgeable guide than Annick De Houwer. Dr. De Houwer, a professor of language acquisition and multilingualism at the University of Erfurt in Germany, is a leading scholar and researcher in the field of early child bilingualism and has written two excellent textbooks on the subject. Her work, in fact, has greatly enriched my own thinking and writing when it comes to the practical challenge of raising bilingual children and her illuminating efforts to understand the mechanisms of bilingual acquisition will continue to benefit multilingual families worldwide. In this post, I’m very pleased to feature Dr. De Houwer and her work. I’ll offer my compact impressions of her books then step back to share an insightful interview we pursued via email. 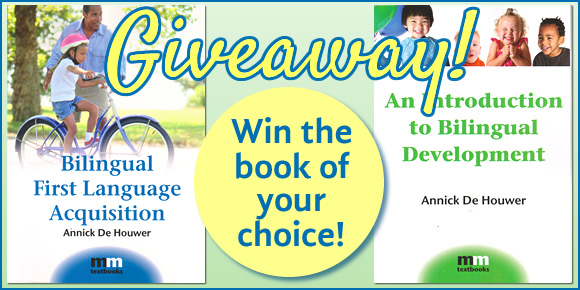 After that, you’ll have a chance to win the book of your choice in a special giveaway. Bilingual First Language Acquisition, published in 2009, is a masterful book that provides a comprehensive perspective on the phenomenon of children acquiring two languages from birth. This is a big book, a textbook of over 400 pages, and is geared for university settings and graduate programs. At the same time, science-minded parents who would like to dig more deeply into the nature of bilingualism and child language development will be richly rewarded for their dedicated reading with wider background knowledge and greater awareness of research in the field. You won’t find a more thorough book on the academic side of this subject. An Introduction to Bilingual Development, also published in 2009, is a much leaner book, around 90 pages, and offers the essence of Bilingual First Language Acquisition in a form more accessible to a wider audience. While both were conceived as textbooks, this second book is less academic in nature and thus friendlier for the lay reader. The framework for the book and its useful insights is an overarching look at the bilingual development of four (fictional) children from birth to preschool age. For parents who are largely unfamiliar with the various stages and milestones of language development, this broad perspective of the bilingual journey provides a valuable panorama of the experience that can help fortify a family’s daily efforts and its long-term success. 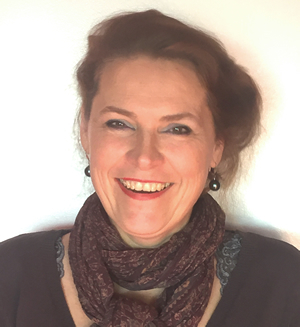 Annick De Houwer, PhD, is Professor of Language Acquisition and Multilingualism at the University of Erfurt in Germany (see https://www.uni-erfurt.de/en/linguistics/language-acquisition-and-multilingualism/). Her main research specialty concerns early child bilingualism (https://www.researchgate.net/profile/Annick_De_Houwer). Her work on the topic is used as teaching material all over the world. Dr. De Houwer’s recent research focuses on the role of input in bilingual acquisition and on bilingual families’ well-being. Could you tell us the highlights of your background? 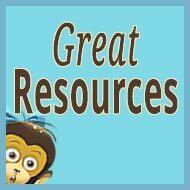 How did you first become interested in bilingualism, especially bilingual acquisition in children? I grew up with Dutch as my first and only language but I heard several other languages spoken by visitors to my home, people in the street, people I met when I accompanied my parents on business trips, relatives who had moved to Switzerland, in foreign language classes at school, and through radio and television. I developed a keen interest in English at around age 8 but I did not realize I understood it, and I did not speak it apart from a few phrases—until I found myself, at the age of 14, in London on a shopping trip with my family, able to understand and speak (!) English. The more I thought about this, the “curiouser” it seemed. At age 16 I was really quite good in English (better than my English teacher at school) and I was intrigued by my fluency in two languages. When the time came to go to college (I was 17) I wanted to study philosophy and Eastern religion but the new school I was hoping to study at wasn’t ready to take in any students so I needed to quickly decide on something else and there wasn’t really anything that struck my fancy so I just went for what I was good at (English) and had some interest in (languages) so I ended up studying Dutch and English literature and linguistics. In the second year of these studies in “Germanic Philology” I had the good fortune of having a specialist on bilingualism, Professor Baetens Beardsmore, as one of my professors and I was very surprised to learn that the questions I had been asking myself about bilingual proficiency were in fact the topic of scholarly research. I never looked back—and tried to focus exclusively on linguistics from my third year of university studies onwards. In my third year I became friends with an American journalist living in my hometown of Antwerp, Belgium, and she had a two-year-old daughter who spoke both English and Dutch. I became friends with the family as a whole and with the little child “Kate”, and did a lot of babysitting so I got to know Kate very well. Then I realized I had a wonderful opportunity here to find out more about the roots of bilingualism—what better method to understand a phenomenon than to look at it from its inception? So that’s when I decided I should set up a recording schedule with Kate and to this day I am grateful to her parents for fully supporting me in this and to Kate for talking to me! These recordings became the basis for my doctoral dissertation and the Cambridge University Press book that came out of that in 1990. What do you consider some of the key findings of your research to date? I think the following 4 findings are quite important. …young bilingual children who hear two languages from birth are not “confused” or “mixed up”. (1) In my early work I showed that in learning to say sentences in each of their languages young bilingual children who hear two languages from birth are not “confused” or “mixed up”. Rather, they generally use the corresponding grammatical forms of each language that they are speaking at any one time. So if they use words from language A they will also use the grammatical forms that are possible in language A, rather than from the other language they know. This is called the Separate Development Hypothesis (SDH). I feel gratified that ever since I proposed the SDH it has been confirmed by most other scholars who cared to investigate it (the latest overview of those studies can be found in my 2009 book, Bilingual First Language Acquisition – BFLA). Currently (2016) nobody is really worried anymore about the SDH and that is even more gratifying: It has become an established research fact now that children with dual language input from birth develop each of their languages quite separately as far as grammar goes. This is good news for children and their families, because preconceptions about grammatical mixing being “normal” can fail to uncover problems with language learning that young bilingual children may have. My view is that if young bilingual children routinely use grammatical forms from Language A when they are saying a sentence with words from just Language Alpha this should be taken as a sign that something might not be going as it should. Mind you, this is different from mixing words from two languages in a single sentence. That happens a lot and is quite normal; it shows children’s creativity with language! (2) Connected to finding (1) is the finding that it is absolutely necessary to distinguish between children who have had regular input to two languages from birth and children who started out with one language and then added another (Early Second Language Acquisition – ESLA). For ESLA children the Separate Development Hypothesis is not relevant. In fact, this is a major difference between different kinds of bilingual children—that is, those who have had dual language input from birth and those who added a second language some time after birth: BFLA children approach each of their languages as grammatically fairly closed sets, whereas ESLA children build their second language proficiency on top of what they already know in their first language. …young bilingual children do not necessarily know fewer words than monolinguals. (3) I have been able to show that in spite of many claims to the contrary, young bilingual children do not necessarily know fewer words than monolinguals. In fact, my work (in collaboration with Marc Bornstein and Diane Putnick) has shown that 13-month-old BFLA children understand about 70% MORE words than fully matched monolingual children! The number of different words that bilinguals know in speaking is no different from the number that monolinguals use in speaking by the time they are 20 months old. My research has shown a great deal of variation amongst both BFLA and monolingual children. There are slow developers and there are fast developers, regardless of how many languages children are learning. Our data have also shown that the “best” performing bilingual child (compared to the other bilinguals) at age 20 months was able to say about DOUBLE as many words as the best monolingual (compared to the other monolinguals). There is this myth that somehow being bilingual makes it harder or slower for a child to learn words. This is not true. Most likely, word learning in any language (or in two at once) highly depends on how many words children hear (there are other explanatory factors as well, but the number of languages being learned isn’t one of them). …there is a huge range of variation in how much mothers talk to their children, regardless of whether they are mothers of bilingual or monolingual children. (4) This gets us to the words that bilingual children hear. Many scholars are of the opinion that bilingual children hear only half the amount of language in each of their languages compared to monolinguals (they seem to have a “box” idea of the head, but our minds are not boxes). I was the first to look at this based on real data. I found that mothers of bilingual children spoke just as much to their children as mothers of monolingual children. In addition, I found that there is a huge range of variation in how much mothers talk to their children, regardless of whether they are mothers of bilingual or monolingual children. It is this range of variation that we should look at for explanations, rather than the bilingual/monolingual dichotomy. Following up on finding 4, my current research is focused on finding links between various measures of amount of input frequency (so on how much language children hear) on children’s language learning. A new strand in my research is the focus on what I’ve called Harmonious Bilingual Development (HBD), that is, developing with two languages from early on in a positive or neutral way, so without any regular experiences of negative attitudes, feelings of deep frustration or inadequacy, or friction within the family because of the bilingual setting. 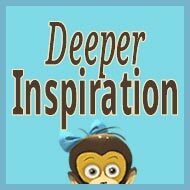 I am directing three new longitudinal projects on HBD in Germany: one involving English and German (ToddleTalk: please help us find more families! see www.facebook.com/ToddleTalkProject); one involving Polish and German (see https://www.uni-erfurt.de/en/linguistics/language-acquisition-and-multilingualism/maluchy-na-jezykach-project/); and a brand new one involving Mandarin Chinese and German. All three projects involve young children (under 4) and their families. I cannot say much more here, because I don’t want to unduly influence the parents who are participating in the projects. I am also in the process of constructing a new multilingual website (see https://www.uni-erfurt.de/projekte/mehrharmoniehabilnet/) that will draw together information on Harmonious Bilingual Development that can be of use to parents and scholars alike. The English name is the Harmonious Bilingualism Network, HaBilNet. 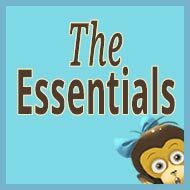 Do you have bilingual children of your own? As a parent, what challenges have you faced in raising them bilingually? How have you addressed these challenges? Yes, my daughter heard two languages from birth. She always spoke Dutch with me, and insisted that I always speak Dutch to her, even if there were people present who understood no Dutch and spoke only English, a language both myself and my daughter knew quite well. This I found a bit awkward but there was no way about it and I complied with her strong wishes. Only when she was in her mid 20s did my daughter ever start to say anything in English to me (only with English speakers present). I can think of no other challenges, really. 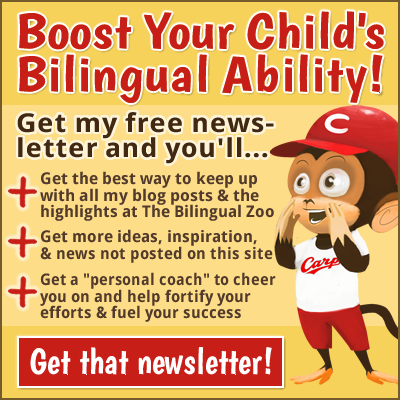 As a researcher, what would be your best advice for parents to effectively foster active bilingual ability in their children? 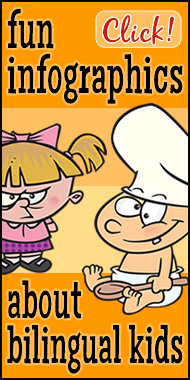 The three major ingredients are: actively showing a positive attitude to ALL the languages involved; speaking a lot to children in all the languages they are in contact with (reading to them is a major help); and considering it normal from the very start that children respond in the language they are addressed in (this may involve asking them to repeat something in the “right” language, showing lack of understanding of the “wrong” or unexpected language (depending on one’s language mode, one may genuinely not understand what a child is saying in the unexpected language), or before replying giving children the word or phrase in the “right” language). What else would you like parents to know about their children’s bilingual development? Many parents of bilingual children have had no experience with early bilingualism themselves. Yet they should know that bilingualism in children is very common and normal, and that yes, it is quite possible that a three-year-old speaks three languages pretty well and understands a bit of a fourth. 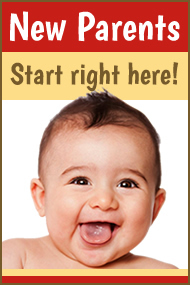 You don’t have to be especially smart to develop several languages in early childhood. And it does not confuse children, regardless of what certain educators or medical specialists might say. 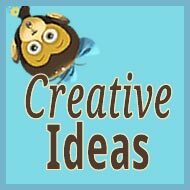 However, like with most other things, children learn a lot from parents and everyone else they meet, and they will copy a lot of what they see and hear. In many cases what children hear can explain a lot about how they learn languages. More philosophically, do you think the benefits of bilingualism extend to the world as a whole? In other words, could increasing numbers of bilingual children perhaps help make the world a more tolerant, even a more peaceful, place? Communication is key to peace. Wars often start where diplomacy (talking) is given up. In this sense being bilingual creates more chances for peace: There are far more opportunities for communicating, and for communicating with people in what they consider “their” language. If I had stayed monolingual in Dutch I would have been able to speak to about 21 million people (that’s not bad, but rather limiting). With the addition of English I could start to communicate with about 400 million more (give or take a few million—depends on what time in my life we’re looking at). With the addition of German I added communication possibilities with about 110 million people. And my French is getting a whole lot better so I’ve added another 80 million or so. So as an actively bilingual person I can now fluently communicate with about 610 million people in what is likely their first language and I can communicate with many more who, like me, speak these languages as second languages. This is much better than only the 21 million for Dutch. Of course, Dutch is not a “big” language so there’s a lot more incentive to learn other languages than if you start off knowing a big language like English, German or French. But the same argument works for everyone. Because of bilingualism, people can also understand the world much better, in a much less selective way than if they only knew a single language (I shudder to imagine how little I would know about the world if I only read Dutch! or only English! or only German! or only French!). And a better and more comprehensive understanding likely leads to more empathy, a crucial ingredient for peace. So yes, I do believe that with more bilingualism the world could become a better place, but I wouldn’t want to limit that possibility to bilingual children only—bilingual adults will help, too! Congratulations to Elodie! And a big thank you to everyone who entered and left thoughtful questions. As I mentioned in the update I made below, Dr. De Houwer will soon respond to some of your questions in a new post. 3. All entries must be submitted by the morning of Wednesday, July 6 (Japan time). On that day, the comments will be printed out and cut apart to serve as entry slips for the drawing. The slips will be placed in my son’s new baseball hat and he will put his grubby hand into the hat and select a winner at random. I will then contact the lucky winner by email and update this post with the results. I won’t respond to your comments here, but Dr. De Houwer and I look forward to seeing them. Thank you for entering the giveaway, and for sharing this information about her work with others. UPDATE: Dr. De Houwer loves your “burning questions” and has kindly offered to respond to some of them. (She wishes she could reply to everyone, but the number of questions naturally makes this difficult.) So she will answer a selection of questions and I will assemble them for a new, follow-up post on July 20. Look for her responses then! 4. I loved Dr De Houwer’s research paper on statistical probability of a child speaking a minority language based on the languages parents speak at home. However, I would like to see what the numbers end up being if instead of language spoken at home, the question was asked on what language(s) parents spoke to the child and separately what language they spoke to the spouse. I think a lot of bilingual parents want to know what the effect of spousal communication is on the child. 4. Can bilingualism not happen, even if the parents do everything that can be done? Can children resist that much that it will never work? 4. Russian is the minority language and first language spoken at home. My husband is not completely fluent though because his Russian parents did not encourage their kids to speak Russian at home. The parents spoke mostly Russian and the kids would answer in English. They can understand most of it, but it’s very hard for them to speak it properly. Question 1: How can I effectively help my husband reclaim and perfect his Russian without actual sit down lessons? Question 2: Will my husband’s often improper Russian inhibit our children’s acquisition of Russian? 1. Alena in Czech Rep.
4. Is the developing bilingual brain fundamentally similar to the monolingual brain (e.g., neural resources supporting language and cognition)? Does early-life bilingual language experience change the brain? If so, how does age of first bilingual exposure impact neural activation for language? 4. What constitutes “speaking to the child” when doing OPOL? I only address my son in German, but speak to my husband in English. How important is it for me just to speak the minority language in front of my son? My husband understands German but isn’t fluent and I am very used to speaking English with him, so it’s proving hard to change that. 4. I would like to know when it’s OK to introduce a third language. Our daughter is bilingual in Polish and English. She has recently started showing an interest in the meaning of words from other languages, especially names of pets and people (Luna, Stella, Felix). I’d be more than happy for her to start learning another language (I could learn alongside), but my concern is that this would take away the time from learning and consolidating her Polish. Is it better to wait with introducing a third language? 4. 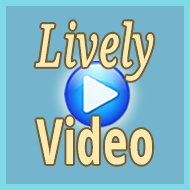 What make some kids more receptive towards learning a second language? Is it just the environment, or is there a ‘natural’ predisposition? 4. When a child is exposed to 2 or more languages, and also learns music, is this considered like an extra language? I mean, learning not only to play, but also to write and read music. 4. 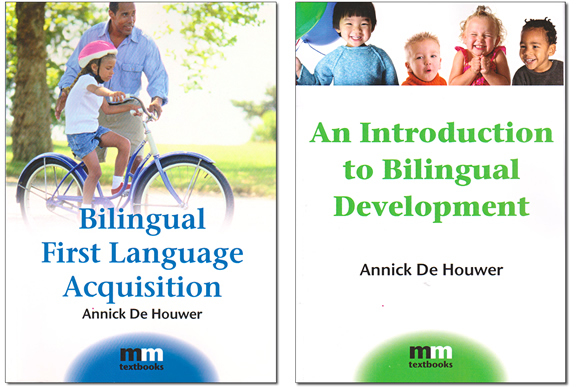 I have used Annick De Houwer’s book Bilingual First Language Acquisition in graduate courses I have taught in the US and Canada and my students and I have truly enjoyed it. I sometimes buy it as a gift for families who are expecting a baby who can potentially become bilingual from birth. 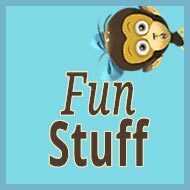 Thanks to Annick for this great resource and to Adam for the interesting questions and this fun website. Keep up the good work! 4. When is a good time to introduce the home/minority language as a written language? Can the writing/reading of two languages be taught parallel, or is it better to wait for a general grasp of the first before starting the second? 4. I will copy Ruth’s Q, as I would like to know too: When is a good time to introduce the home/minority language as a written language? Can the writing/reading of two languages be taught parallel, or is it better to wait for a general grasp of the first before starting the second? 4. Loved this interview! Dr. De Houwer touches a bit on my burning question in the interview, but what I really want to know is how best to divert the child back into speaking the target language when s/he responds in the “wrong” language. Currently we ask our daughter “How do you say that in English?” Or we say “Please speak to Mama in English”. But I’ve heard from several friends in child development that children can’t actively distinguish between languages until age 4, so I am a bit confused as to whether that’s true (in which case I should just tell her the word in English?) or if that’s not true and I should continue as we have been doing. 4. Many people say that to learn a second language you need to develop a second mentality/culture (i.e. To learn German, you need to “grow” a little German person inside of you). For the most part I agree with this idea. I will actually respond differently to the same sentence, phrase, etc. if it’s said in English than if it is said in Russian. My question is: does this idea, if actually true, apply to bilingual children? Do they develop different ways of seeing the world based on the language they’re using, or does the culture in which they are raised have the majority influence? 4. I am interested in knowing how the brain copes with different languages in early age and/or late age. How does a bilingual brain work? I’d love to hear Professor De Houwer’s perspective on mothers speaking a non-native language to their children to encourage bilingualism. Italian is not my native language but I lived in-country for 6 years and have a good command of the language. Sometimes I wonder how my speaking Italian to my son may affect the emotional bond we are creating in his early life. I know my ability to express myself without errors and naturally is not as good in Italian as it is in English. I’ve been speaking to him exclusively in Italian (unless in the company of others who don’t understand Italian) but due to my concern about emotional bonding, I’m seriously thinking of scaling back to only one hour per day or only during specific activities (like during our evening walks). 2. Boy, 7.5 y.o. ; Girl, 2 y.o. 4. My question is, where does the boundary between BFLA and ESLA lay specifically? My daughter was 1 y.o. when we moved to Germany and was 1.5 y.o. when she went to German daycare. She was not speaking almost any Polish at all when she first went to daycare. Which path of language development she’s likely to follow? And a related thing: my son was 6.5 y.o. when we moved to Germany and after more or less two months at a German school he was perfectly able to communicate and understood most of what was going on at school. Now, after a year, he has no problems with German outside of school, too. Is 6-7 y.o. “too old” for ESLA and following some other, more “adult” path of language development, or is he likely to fall in the bilingual category, similarly to my daughter? As my kid is born in Germany and we are Chinese family, I’m personally interested in the topic of bilingualism and eager to know how my child can become later in his life as biliteracy of the two languages, instead of losing his first Chinese language. Some related questions, such as will his German language competence be at the same level as monolingual German children in general? As Professor De Houwer in her new project, Harmonious Bilingual Development (HBD) proposes for a positive and neutral language environment without feeling of frustration, as parent, we want to know more about some practical method or strategies both at home and in the public that can support bilingual children. And I believe as adult that communication is also important for one’s character development. A successful communication will help people to feel more confidence and be positive motivated for further language improvement as well as in other spheres in the life. I appreciate very much for the research findings that Professor De Houwer has done for our benefits, for the parents and kids, and we are looking forwards to knowing more about HBD and its new findings that will be definitely helpful for children who acquire more than one language. 4. 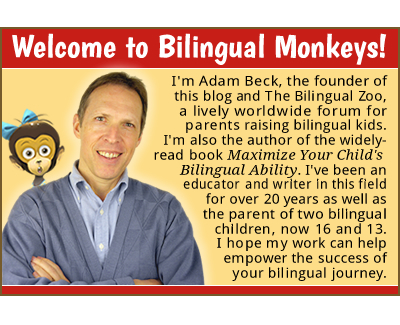 My only burning question now is just: Will I be able to follow the path of Adam Beck, Annick De Houwer, etc., people who successfully raised a bilingual child? (I like the fact, that the author of this website is not only preaching something, but practising it as well, that’s making his writing and articles credible)? Burning question: What is the best way to ensure that younger siblings stay bilingual when older kids are naturally exposing the younger ones to the majority language at home? 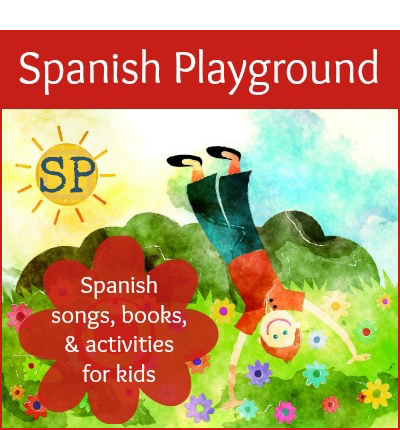 Burning questions: I read books in our minority language (English) to our daughter since birth, but sometimes my husband takes our English books and translates them into Spanish or Catalan to her. Could that be confusing for her? We used to be a home where Italian and Spanish were used in equal amounts, with an OPOL approach. When our little boy arrived, we decided to add a second non-native foreign language, English. Can speaking different languages with different children be confusing for the kids? I hope not. 4. I’d like to know some strategies to get my children to produce the second language. They understand the spoken language very well, but they are hesitant to speak it. 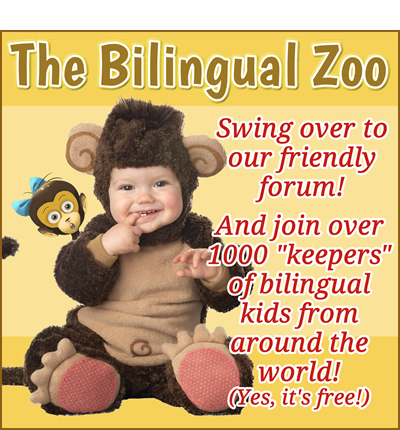 Next post: Take This Quiz on Bilingual Acquisition in Children! How Many Will You Get Right?